Some great Paleo reading has arrived! Since receiving my online book order from Chapters, I have made two batches of fermented foods by following the Wild Fermentation book. The first was a small batch of sauerkraut using good old green cabbage. It went so well after only a week that we had to get more produce (green cabbage, red cabbage, rutabaga, & beets) for a second batch. The second batch jars are still fermenting (one week in), but I might let it go for 2 weeks before tasting to see if an extra week makes a good / noticeable difference. I also made sure to pickup some wide-mouth mason jars, which make caring for the veggies much easier than the regular jars. The Practical Paleo book is a fantastic intro book, I highly recommend it as an initial book to read for its easy to understand approach, light details, and excellent meal plans and recipes. The Paleo Solution is a natural second book to read; good for those that like to know the deeper details, as well as additional topics like exercise and sleep. I picked up Well Fed 2 as a recipe filler, and was glad I did as it has a great selection of "condiments" and other spicy dishes. This is my second batch of ferments, and it is getting harder to wait until this weekend (like I wanted) when they'll be 2 weeks old. In no particular order I have jars of green cabbage, red cabbage, rutabaga, & beets; as well as some mixed jars of green cabbage, red cabbage, & rutabaga. As you can see, I am using wide-mouth mason jars, inverted regular mason plastic caps as a barrier, and glasses filled with brown rice (finally found a use for what will no longer be eaten) as weights. Not fancy, but definitely works well. Cast iron cookware in the house! In truth, it does take a bit of a change in your habits when cooking on Cast Iron; scrub immediately with water, no soap, and keep the curing process going by applying more oil. Having made the switch however, I can say that I will never go back to non-stick or metal cookware; i enjoy cooking with lower heat settings while these puppies keep all the heat locked in and evenly spread out. You can follow the link I provided in my Return of Cooking on Cast Iron post to learn the main reasons behind the switch. The wait is finally over, and here are the first scoops of 2 week old ferments. In hindsight, I probably shouldn't have used a black plate, but I don't exactly plan my photo's. Having tasted them all, I can safely say two things. I definitely like the cabbage based ferments more. Rutabaga is quite sharp tasting and the beets are a close second. The cabbage had a more familiar (sauerkraut) and distinctive taste from my initial one week batch. Maybe something was done differently with this new, but one week cabbage still holds the gold. All-in-all, a very successful batch; filled with learning. I found a 4L Costco pickle jar I was saving (with no purpose in mind) and thought I would try using it to make a batch of sauerkraut. I found working with this large jar to be much easier then working with multiple 1L wide-mouth mason jars; I could get my hand into it to press down the kraut instead of relying on "tappers". The other new idea I tried was half-filling a zip-lock bag with water a as weight. Wasn't quite as heavy as it needed to be, but it definitely helped to keep the kraut submerged in the brine at all times. When the recipeI was following mentioned that essential oils was optional, I mostly ignored that figuring "why wouldn't I want to add a scent?" While the recipe mentioned Tea Tree oil as a good option for men, the first extract I grabbed from the cupboard was peppermint, and went with it. Lesson #1: Peppermint is not a good choice for a deodorant. I never clued into past experiences where peppermint caused a nice heating effect when used as an aches-rub, and never expected that I might be inviting a heat rash which took only 2 days to bloom. Lesson #2: Sometimes essential oils just need to be eliminated. Trying Tea Tree oil as the recipe had originally suggested next definitely helped reduce the heat rash, but irritation persisted. At this point I wasn't sure if the recipe proportions would need to be played with, or an ingredient eliminated. Thankfully, i found my answer in Divine Ms D's blog where she shared the fact that she had to eliminate essential oils for the same issue I was facing. While I am finally finding the irritation to be finally subsiding, I may try the recipe she follows (if I'm not happy with the ultimate results) as the proportions are different from mine. Thank you Divine Ms D for sharing on your Paleo Sistah blog! Received our first order of grass-fed & free range meats! It really does put a smile on one's face to look upon a freezer of lovely grass-fed meats! We promised ourselves that we would not dive into these meats until we had used up our existing supply of store bought beef and last seasons elk; so I can't make any comments yet on the quality or taste... but that is going to be coming very soon! Today, we tried the beef smokies that came with our 1/4 beef order. All I can say is wow! They were absolutely delicious, seasoned perfectly, and zero grease-in-the-pan type of lean. I wish I had alot more of them; definitely something to add more of on our next order. We have also tried the hamburger patties which were incredibly tender; I swear this must speak to the dry-aging process that they use. Their taste was also very mild when compared to your average burger patties, which was a nice surprise. From our steaks, we have tried only some of the chuck and rib-eye. I overcooked the rib-eye (the first I tried to cook) so it was not as tender as it should have been, but was an excellent and delicious cut. The chuck was cooked perfectly and it was hard to imagine it as a lower "ranking" cut of steak; it definitely went well cubed on-top of my salad at lunch. Still alot more to try from our order, but the initial verdict is very positive. Definitely grass-fed for life! Our first order from Bulk Apothecary arrived today! The intention of this order was to set the stage for making our own household cleaning products, shampoo, soap (also to be favors for our wedding guests), body sprays, lotions, lip balms, etc... and containers to hold them in. The Bulk Apothecary rep I called questimated that this order may have as many as seven packages. This deterred me from using Mike's Parcel Pickup who charges $5 USD per package. As the shipment only came in three boxes, Mike's fees would have been much better. Oh well, I guess the rep guestimated high, which would be the preferred choice to guestimating low. UPS offering to broker packages from the US is stupid expensive... like add $50 to $70 dollars on top of your government taxes. I wished I had known about this and declined their offer to broker the package for me; choosing to self-clear it myself. After reviewing the recipe we want to follow for our wedding favour soaps, and running it through a soap calculator, I realized that the little 15ml bottles of essentials oils that we had around the house just were not going to cut it if our plan was going to involve making almost 20 lbs of soap! I needed many ounces of Essential Oils, not milliliters. I can sense that Bulk Apothecary is going to be a favourite site of ours into the future. We ran around Winnipeg hoping to find a good price on the Rosemary and Thyme that we wanted to add to our soap... and $15-$20 for a 0.5 oz was not what we wanted to pay. Bulk Apothecary has the same size bottle for $3-$4, or 16 oz bottles (thirty times the oil) in the $40 range... hmmm, $15-$20 for a 0.5 oz or $40-$50 for 16 oz... an easy decision! This time, knowing that there should only be one box, we had the package delivered to Mike's Parcel Pickup. While it cost $30 in gas, that was far cheaper than paying UPS $50-$70, and much quicker than waiting and running around to do the self-clearing. While we were placing an order anyway, we added some other oils that we are going to try in the next soap recipe batches for their aromatherapy qualities, soap exfoliants (seeds), soap colouring sample kit (oxides), oils we didn't have to complete our own "thieves oil" blend, caps we meant to get for our bottles from our last order, and some books on our new hobbies. Finally Fermenting on a larger scale! Yes, that's a 4L pickle jar sitting beside our new 20L fermenting crock pot! The instructions say to not fill it more than 80% so, (going by our previous experience of 1 cabbage making L) my next trip to the grocery store will include about 15 cabbage heads! The greater plan is that we will always have a months supply of sauerkraut on hand, which will mean we are finally going to have enough underway to let it sit for a full four weeks. Two weeks is the longest my sauerkraut has "aged" before moving it to the fridge, so it will be nice to finally experience the three week, four week, and maybe longer flavours! We ordered the crock from Harvest Essentials. Originally we were going to order one from TSM (The Sausage Makers), but it wasn't available until June. Looking around for the same pot lead us to Harvest Essentials who had a better price (but unfortunately the same June ETA). Looking at all of their 20L crocks revealed the one we eventually ordered... on sale from $299.99 to $205.99 (after an additional $10 coupon). I was a little leery at first from ordering @ Harvest Essentials since they do not have user account handling setup on their site. I like a site with an ordering account where I can see my history and track my orders. Instead they use a yahoo storefront to order from, which after using it does the trick. I asked questions about shipping and breakage which they answered very quickly, so I feel I received really good customer service. I was also pleasantly surprised at how well packed and protected the crock was during shipping; top marks! After my previous post on Lessons learned about natural deodorant, I was still struggling with minor irritation even after eliminating the essential oils and reducing the baking soda. Wanting to solve my issue, I decided to perform another search, but decided to search for DIY antiperspirant instead of deodorant (I had traditionally used antiperspirants all my life). I quickly found a posting of 3 antiperspirant recipes by Bri at Natural News, and boy am I glad I did. Glancing at the recipes, I decided that I liked the ingredient list of recipe #3, which I have copied below. The recipe is actually from a HeyFranHey video/blog, and I really enjoyed the information she shared on why she chose each ingredient, as well as which ingredients to adjust to personalize if for the protection you need. While Fran mentions 2 tablespoons of baking Soda in her video, Bri listed only 1 tablespoon (3 teaspoons) in her recipe, which is what I used. After using this recipe for over a week, I am well past my normal reaction period of 2-3 days... and happy to report that my irritation is a thing of the past! Thank You Fran for pointing out in your video that Baking Soda is a common irritant for folks with sensitive skin, and Bri for suggesting to use less than Fran's original recipe! We picked up a dozen cabbages yesterday and washed out our new 20L crock in preparation for large scale fermenting. Since we had so many cabbages to go through, we decided to make use of our Kitchenaid with the shredding attachment. It powered through the cabbage like a champ and threw a bonus our way by slightly bruising the cabbage; making it easier to work in the sea salt. I wondered why the instructions mentioned to only fill the crock 80%, and figured out why as I was putting the weights in... you need the space to work them in. So the real max capacity of the crock (with weights) is closer to 16L. The idea now is to not disturb the crock for at least two weeks. The water in the crock channel has the unit nicely sealed, so I don't fear anything going amiss behind the lid. The greater plan is to only take out a few litres at a time, letting some of the sauerkraut get to 4 weeks if we can stretch it out that long. I'd like to try let the cabbage fully acidify if I can to see and taste it at it's peak. In my previous article on DIY Antiperspirant, I linked to a video/blog on the heyfranhey site that had inspired the new antiperspirant recipe I've been enjoying. However, her final words in the video talked about how her grandmother simply used a fresh lemon wedge. Deciding that this "too good to be true" statement was worth exploring, I had to give it a try. And to my amazement, I found that it actually works! Simple, effective, and as easy to make as slicing a lemon! What colour is your bacon? Their nitrate free bacon is absolutely fantastic! I wasn't expecting its non-red colour, which really reinforced the naturalness of it. I also suspect (after tasting it) that it has been lightly smoked; truly pleasing flavour. Frying eggs in these bacon drippings was awesome! I've tried doing that before with typical store bought bacon, but found it tasted way too greasy. Not the case with bacon made from pigs raised to forage for their food. I recall reading a recipe to make bacon-aisse (DIY mayo with bacon grease in it) and thinking how horribly greasy tasting that would be... but now I may have to rethink my position on that recipe, having the right bacon in hand! I had previously asked Wayne about the availability of beef tallow (for soap making) and was surprised to find some fat included in my order! I'll have to search for the steps to render the fat down into tallow, but am eager to compare the soap results between beef and pork tallow. I always include beef liver each order, and have had the good fortune of receiving other organ meat samples. Previously, I've received beef tongue and kidney, but today I found some packages of ox tail and heart! Being a lover of various bird hearts over the years, I'm really looking forward to seeing what a massive beef heart tastes like! Our Paleo path has naturally inspired and influenced many choices over the last few months. The most recent bringing some pretty simple replacements for dishwasher detergent and rinse. Following a recipe for household cleaners at the David Suzuki site, we really only needed two ingredients for the detergent, and vinegar for the rinse. We had picked up some Borax previously, but didn't have any Washing Soda. A quick online search revealed it was pretty easy to make at home; thanks to a post @ Nature's Nurture Blog. The detergent recipe was pretty simple; equal portions of Borax and Washing Soda that we mixed in a old plastic container. And Washing Soda was nothing more than Baking Soda that had been baked @ 400F for 30 minutes in one of our Pyrex dishes. Trusting that our new fermenting crock was designed to keep its contents protected, the only task I gave myself over the past four weeks was to ensure that the water level in the trough stayed up to keep its air seal intact. I knew as soon as I opened the lid that I was in for a treat! The aroma of the soured cabbage was wonderful; and was never achieved with the previous one to to week batches. The crock certainly lived up to my expectations! Previously, I had thought that the directions only wanted me to fill the crock 80 percent to allow the weights to be added in easily. I know realize that the sauerkraut expands quite a bit during the fermenting process; so much so that the weights almost reached the bottom of the trough! Originally I was thinking of using the 4L pickle jars to store the sauerkraut in my fridge, but my assumption that my plastic wide-mouth lids would fit them turned out to be incorrect; and I recalled that using the metal lids is pretty much a no-no where fermenting is involved. So, I jammed fifteen 1L jars (with plastic lids) full of sauerkraut, and placed the remainder (with all the excess juice) in a 4L jar that I lined the lid with Siran Wrap. Final verdict... I will never again eat my sauerkraut earlier than four weeks. The taste is night and day. Sour, tangy, delicious, and I imagine just teeming with the beneficial flora I need! These sausages are delicious, but boy are they hot! Spicy enough that i don't think I would ever eat more than one or two at any meal since the heat really builds up the more you eat them; at least for me anyway. I do enjoy variety when planning my meals, so having a great spicy option is a welcome addition. For our first attempt cooking these ribs, we kept it simple by letting our slow cooker have its way with them. Going forward, we do plan to find some nice Paleo-friendly sauce options to go with them to bring back the missing finger-licking fun! I am just loving our bacon, and frying eggs in this bacon's drippings is awesome! I know I've said this before, but for everyone out there that is still buying their bacon from the grocery store... Wake up, and smell the bacon! We have been enjoying the soap recipe we used for our wedding favours, so I think it will be a staple for a long time in our house. This time though, we have decided to add some new "flavours" and colour coded them (as if the scent wouldn't have been enough). She taught me that you can eat Filet Mignon and fried mushrooms for breakfast! Of course we are using the soup bones that we got at part of our grass-fed meats, and the recipe we found was really quite simple (I'll have to ask the Mrs for the link she found). The only ingredients were were missing was bay leaf and garlic, but everything turned out beautifully. Here are some pictures of the before and after of our homemade soup/broth. I found it interesting how the marrow completely dissolved into the soup leaving the bones hollow. On the advise of the recipe author, I am saving the bones in case some friends would like to give their dogs a treat. While we were at Costco today, we picked up a jar of their garlic and added it into our soup while we warmed it up for supper tonight. Added some salt and pepper to my bowl, and loving how easy this soup was to make, and how good it tastes. You can see everything combined in the first couple pictures. The third picture is after it had cooked in the slow cooker on low for about 10 hours. The fourth picture is how the tongue meat looked cooked and cut on the plate. And the fifth is of the peeled off "skin" bits that remained. Anyone know a good goldsmith? After only eight months of marriage (thanks to twelve months of eating Paleo), I have had to resort to switching my wedding band over to my right hand. Apparently within the 100+ pounds I lost, there must have been a rather significant lost from my fingers as well, because the ring can now easily fall off my finger. I've visited a few local jewelers over the past couple weeks, and none can size the ring without creating a seam in its design; something I'd prefer to avoid. They are giving me options like springs and soldering in bars or blobs of gold... all of which would make it lopsided. I'm no goldsmith, but it sure sounds simple (coming out of my mouth anyway) to ask that one lay a nice even layer of gold inside the ring to convert it to my new size. I've gone from a size 12.5 down to a 10.25, and can envision a simple mathematical equation to figure out the delta in the radius of the before and after circles... which should indicate how thick the new gold layer needs to be. Does anyone know of any goldsmiths that believe like me that adding a layer of gold onto my ring should be straight forward to do? If so, please reach out and let me know. You find your old high school graduation suit in your closet, and it actually fits again?!?! Thank You Paleo! Trying new recipes on Christmas Eve? Madness! I found what turned out to be a fantastic roast turkey recipe online; such a juicy bird having cooked it breast down instead of the traditional back down. The turkey was also one of the ones we had ordered from McDonald Farm, and boy was it delicious! Picked up the Nom Nom Paleo book at Superstore today after a good friend let me know it was currently on sale. While I really appreciated recipes like Paleo Mayo and Pho, I was pleasantly surprised by all the kitchen/pantry tips and tricks like freezing ginger! An excellent addition to our ever growing library. Read about Michelleon her nomnompaleo.comwebsite; which also includes a wealth of other Paleo information and recipes. Thank You for sharing Lauren; an excellent read! Finally perfected mixing Paleo Mayo! Following Michelle's (Nom Nom Paleo) recipe for "hand whisked" Paleo Mayo has had some mixed successes, with the issue being that I'm just not dexterous enough to maintain the whisking. In the past, I'd also tried and failed using our Vitamix to make other homemade mayo recipes. The solution? Introduce the mayo to our Kitchenaid to do all the whisking! Getting a lovely thick Mayo also made a huge difference to the Paleo Ranchdressing recipe we had also tried. We had found it too thin before, and the mayo thickness was obviously the key. Increasing our ferment intake with... Water Kefir! We've been making sauerkraut for quite some time now, but I can honestly say that we don't eat it as often as we could. Usually due to bad timing/planning... where we eat through our jars before thinking of starting the next batch; and we like to let it ferment for up to eight weeks. So, too many gaps have been creeping in, which usually leads to a bit of procrastination. Our solution was to start a new ferment that doesn't need weeks to mature, and our answer was water kefir. I contacted Jody, a local Winnipeger, through Kijiji and picked up my initial batch of water kefir grains! She had just prepared the brew this morning, so it will need to ferment over the next couple days before I can try it out. What out "leaky gut", there's a new probiotic sheriff in town! Over the last few days, we've been slowly drinking the starter kefir batch I'd acquired, as it continued to ferment on our counter. The kefir seemed to get thicker and more sharp as the days went by... so we were certainly exposed to a wide range of flavours as it fermented. Having consumed the last of the water, I followed the guidance and recipe found on growyouthful.com to put together our first brew of water kefir. For our first batch, I decided to use 100% maple syrup as our sugar. That and the molasses explains the dark rich colour. Two days in and I can already see that my first batch is more active (more bubbly) than the starter batch I was given. In fact, it almost looks like they've grown too. I know I used a different sugar, but I predict that adding molasses was the big difference; they just love the added minerals! Of course both these things also have changed the taste significantly. I think the molasses is a keeper, but maple syrup reminds me too much of pancakes. Going to leave this batch on the counter to continue fermenting and see how the flavour changes over time before I decide for sure though. Five days of fermenting on the counter has lead to a rather vinegary batch. I must admit that I've left it out too long for my (and my wife's) taste. I strained out the kefir grains and started batch number two. This time using cane sugar over maple syrup, and keeping the molasses. Sorry about forgetting to take a picture of this batch, but batch two really doesn't look any different when compared to the picture I took back on Mar 7; other than realizing I only used half the water the first time... so the jars are more full. Water Kefir batch two has gone crazy! Four days in (having a nice sharp taste, just before vinegary) and I'm just noticing that the kefir grains have tripled! The grains are definitely happy, healthy, and multiplying. I think they agreed with me on switching maple syrup for cane sugar. I never would have imagined that I'd be starting batch with three making twelve jars... incredible! Three days into batch three (Mar 19th), my kefir was bubbling like crazy, and I could already tell the grains were still growing. What I obviously needed to learn quickly was how to only make as many batches as we could drink; which would also mean figuring out how to keep/store the grains that I didn't need to use for fermenting. The first answer/lesson was, simply, use the fridge. The basic premise being that you still need to feed the grains, so you start a new batch (make the grains food) but put the jar in the fridge to slow the grains down. So I put my three day ferments in the fridge so they could continue to ferment more slowly. As I got close to emptying each jar of liquid over the next few days, I poured the grains into the next jar, delaying the need to start any new batches. The second answer, equally simple, was to entertain the idea of making them available to others like Kijiji/Jody had done for me. If you live in/around Winnipeg and are looking for a happy water kefir culture, let's make a trade for a freshly made batch. Back in late January when we were contemplating getting a 13.25 inch Lodge cast skillet, it was one that d. a. Niel's had previously ordered to bring in for stock... but it never arrived. They did have a 12 inch that had arrived, and looking at it made us realize that really was the biggest we could hope to use on our stove top anyway. Only issue was, they didn't have a lid for it. So I did a little digging and found that the 7 Quart Dutch Oven came with a 12 inch lid that would fit our pan. It didn't take much calculating to realize that $80-$90 for a lid was a worse deal than $140 for a lid with a pot... that's like a buy the lid and get a pot for $60, or less. It took a while for our special order to arrive, but I'm looking forward to getting some good use out of our new 12 inch skillet, dutch oven, and lid! I think it is important to know what our bodies are really asking for when we have cravings.... both in general, and when we are making big changes like changing what we eat (like a starter 30 day Paleo challenge). When I think about it, what makes sense to me is that our bodies know what it needs (nutrient/vitamin/mineral) and can only "ask" us for it in terms of craving foods that it knows we've eaten that contain it. They may not be the best sources, but it's what we've eaten. For example, we shouldn't feel guilty for craving chocolate if what that translates to is our body asking for magnesium. Alternative sources of magnesium include (amongst others) fruits like bananas and avocados. While I still believe that Practical Paleo and The Paleo Solution are essential core reading, over time one comes to realize that if you've been eating according to the "Food Guides"... you likely have an autoimmune condition that would benefit from following this protocol for a period of time before following the general Paleo protocol. My wife was the first to read through these books, and you can see her reasons and what she learned in one of our autoimmune posts. 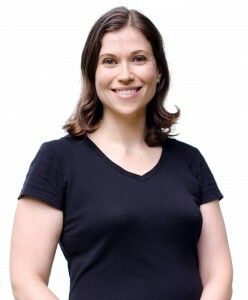 Sarah Ballantyne is the author of our new autoimmune books and has more information on her Paleo Mom website.